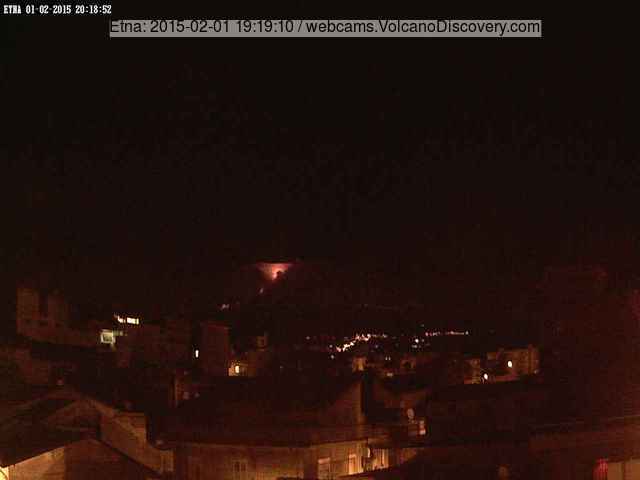 Etna (Sicily, Italy): The new eruptive phase continues. Dense cloud cover has prevented detailed observations, but from occasional clearings and other observations, it seems that the intense strombolian eruptions are going on from a vent between the old and New SE crater, feeding a lava flow, at least 2.5 km long onto the southwestern slope. Shiveluch (Kamchatka): A powerful explosion occurred this morning, at 02:08 local time, at the volcano. It seems a large-volume pyroclastic flow of several km length and an ash plume rising to approx. 33,000 ft (10 km) altitude were generated.